Join us at the Flying Monkey in Huntsville, Alabama for HSDS! Heading down to the Triangle for TSDS, y'all! We'll be bringing out some swingin' sounds for you - come out and join us if you're in the Raleigh-Durham area, wontcha? 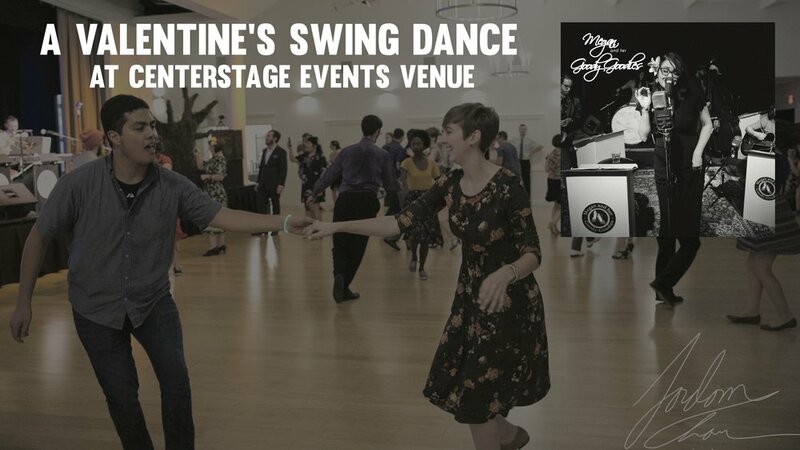 Join us on Saturday, March 30th for a Valentine's Swing Dance featuring live music by Megan and her Goody Goodies! Start off your night with a 45-minute beginner dance lesson taught by CenterStage instructors, then join us at 8:00 for three hours of live music, dancing, and photobooth fun. Tickets will be available at the door. Join us at Filly’s Game and Grill in Gallatin, TN for grilled sandwiches, beer, spiral fries, and good music! Join us for the second Women In Jazz night at Rudy's Jazz Room! Presented by Megan Lange (of Megan and her Goody Goodies), this special evening will feature the talents of Sam Stephens and Crystal Miller. Tickets are available here! Join us at CenterStage Events in Gallatin, TN for November’s Let’s Dance Club event! Megan will be joining James Posedel and his Posey Quintet on Saturday, October 13th at the late-night dance of Rhythm Is Our Business workshop weekend. For more info on the Posey Quintet, visit his website here! Join us at Prince Street Pizza on Friday, October 5th for the best damn pizza, beer, and jazz in Gallatin! Megan will be joining James Posedel and his Posey Quintet on Saturday, September 29th at the late-night dance of the Knoxville Lindy Exchange (KLX). For more info on the Posey Quintet, visit his website here! Join the Goody Goodies as they celebrate dance through the years! We'll be celebrating with USA Dance and Lets Dance Club Nashville on Saturday, September 22nd at Old Hickory Country Club. More info available here! Join us for the second Women In Jazz night at Rudy's Jazz Room! Presented by Megan Lange (of Megan and her Goody Goodies), this special evening will feature the talents of Pattie Cossentino and Crystal Miller. Tickets are available here! Soda City Lindy Exchange is back and better than ever! Columbia -> Cola -> Soda City is bursting at the seams with a vibrant swing community and we can't wait to share our love of swing and iterative nicknames for cities with you! Head to https://www.palmettoswing.com/registration.html for all your registration needs. The Goody Goodies take over Umbra! $5 at the door.